Providing great products or services is only possible for startups that understand their customers. We spoke to Lisa Martin of Salt Studios – a state-of-the-art rehearsal studio for professional musicians in East London – and found out how she transformed her business model in order to meet the needs of her customer base. I had been working in the London music industry as a freelance drummer for three years before I opened my business. Like many entrepreneurs, I had seen a gap in the market within my professional field and decided to fill it. While most creative professionals have access to a wide range of high-quality workspaces, professional musicians have limited options and often end up hiring dingy spaces by the hour in order to rehearse. 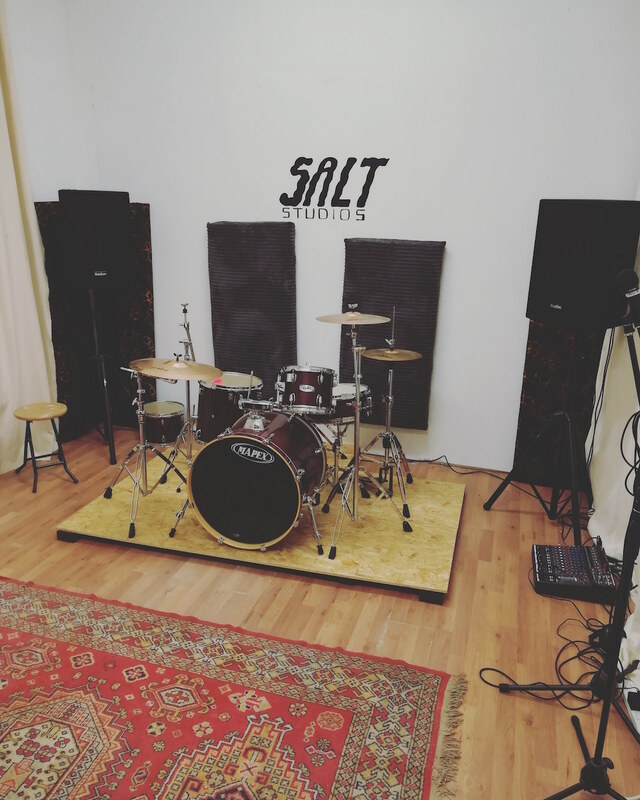 I opened Salt Studios in March 2018 and the core vision was to create a professionally equipped and pleasant, bright workspace that musicians could rent long term. The first six months of trading have been one of the sharpest learning curves I have ever experienced. Responding to customer feedback has affected the way I run the studio and my plans for the business going forward. The studio first opened earlier this year in Peckham, which is close to where I live. Having a good network in the area gave me confidence that I could get customers through the door. Being a professional drummer myself, I knew how difficult it was to find a space to practice or teach in. For this reason, I was expecting a lot of drummers and music teachers to be using the space, as well as a few bands. Essentially, I had subconsciously modelled my customer base on myself, which ended up being an inaccurate or rather limited view. The majority of our customers, both then and now, turned out to be bands and not drummers or music teachers as I had originally predicted. London has a real shortage of high-quality, long-term lease rehearsal spaces, and Salt Studios was filling that gap for professional and semi-professional bands. I adapted my business model to fit the reality of my customer base, which also involved getting some more gear for the studio so that it was better suited for full bands. I played around with pricing a lot in those early months. Eventually, through a meeting with a business mentor, I realised that having a clear pricing structure was much more desirable than giving individual quotes to each customer. Deciding on my new pricing structure, I was now in a position to give a clear price list to prospective clients. The studio now offers three deals: Gold, Silver and Bronze memberships. This structure was popular with clients and made what I was offering a lot clearer. Several customers have since told me that they feel the prices compare favourably with other studios, which is feedback that I really value. Around June, I had the opportunity to take on a more permanent premises. It was much more expensive and was in Limehouse, East London, which is an area I was less familiar with. The lessons I had learnt in Peckham gave me the conviction to take on the lease and I began work on the new unit in order to make it perfect for band rehearsals. When the studio moved to East London, I realised that there was an even bigger demand in that area for rehearsal space than there was in Peckham, which represented another lesson learnt. While I had a network in South East London, this didn’t necessarily mean it was the best location for my business. 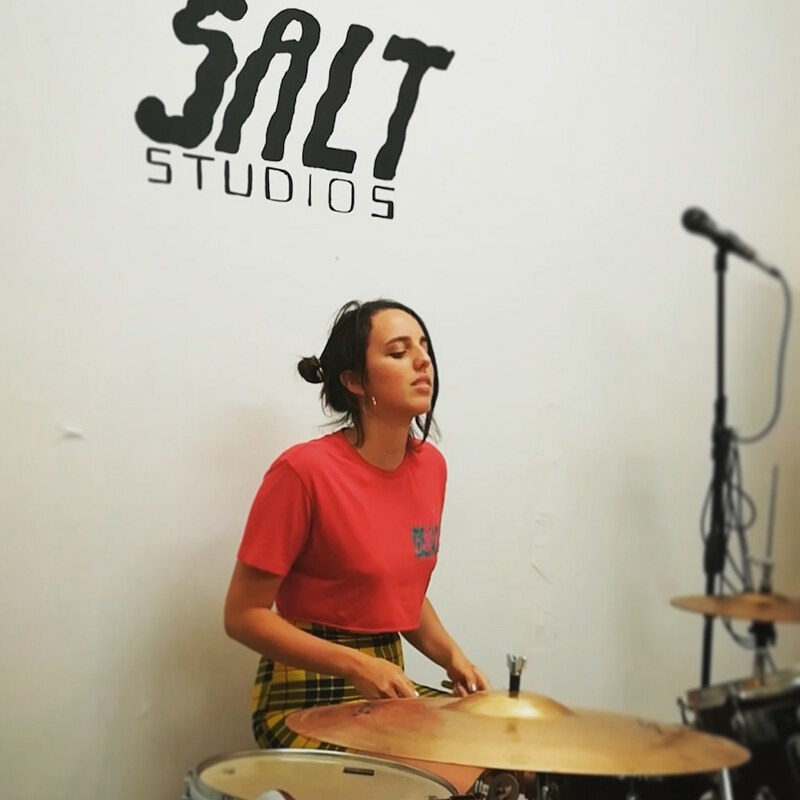 Salt Studios opened its doors again this summer within the famous Cable Street Studios building, which is a hub for musicians, recording studios and artists. The sense of creative community and subsequent opportunities for networking is a huge plus for my customers and one I plan to replicate in any future studios I open. I had already learnt that my customers were not necessarily who I thought they would be. But now I had the right premises in the right location, it was time to start implementing the things that my customers were asking for. These were things that other rehearsal spaces weren’t offering, such as flexibility to manage your own bookings through an online calendar and the option of taking time out of your lease if you go on tour. I also found that most bands wanted instrument storage as well as rehearsal space, so I built storage into the new unit. Customers have their own keys so they can access their gear at any time. I also maintain a strong line of contact with my customers and ask their opinions on things such as what new gear should be bought for the studio. Therefore, in response to requests from several potential customers, the next addition to the studio will be an upright piano. The future of Salt Studios looks very different to the business plan I wrote at the start of this year. By communicating with my customers, I’ve found that the strengths of the studio lie in providing a creative environment, being close to amenities and central London, and supplying professional-level gear and instrument storage. The creative networking that the studio offers is an added bonus and something that I know my customers find valuable. I plan to build on this in the future by creating affordable studios for the UK’s up-and-coming musicians that double up as hubs where music professionals can network, create and make progress in their careers.